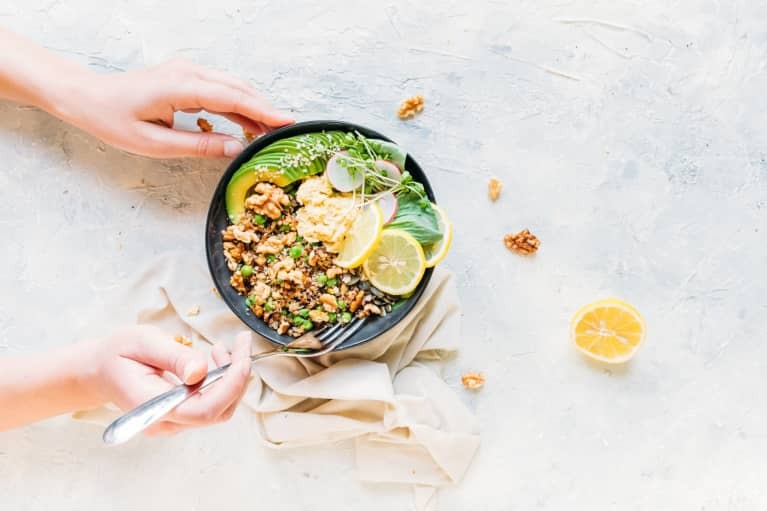 It's well known that a protein-rich breakfast can keep you satiated longer (preventing snacking later on), lends energy and generally sets a good precedent for the rest of the day. Almond milk smoothies are great. 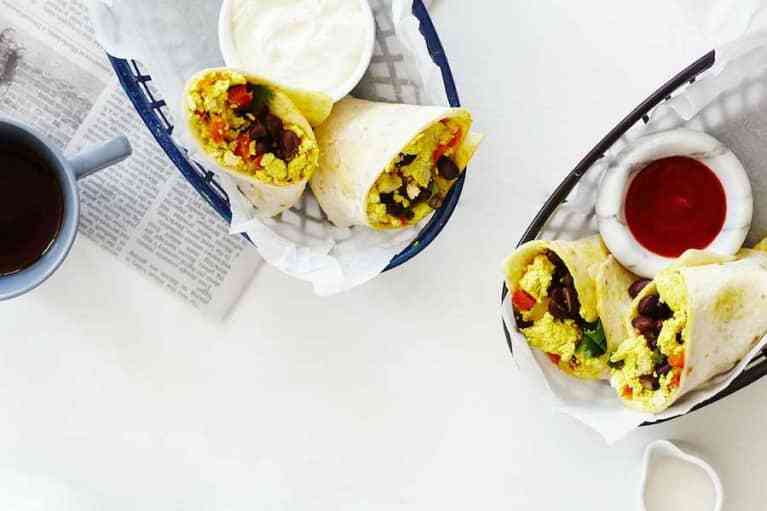 But for the days when you need something more substantial, here are five healthy, delicious, high-protein breakfast to power you through. 1. Toast the bread to your liking. 2. Slice the avocado open lengthwise. Carefully hit your blade into the pit to remove. Score the avocado length and crosswise and remove the flesh with a spoon, dividing it between the two pieces of toast. 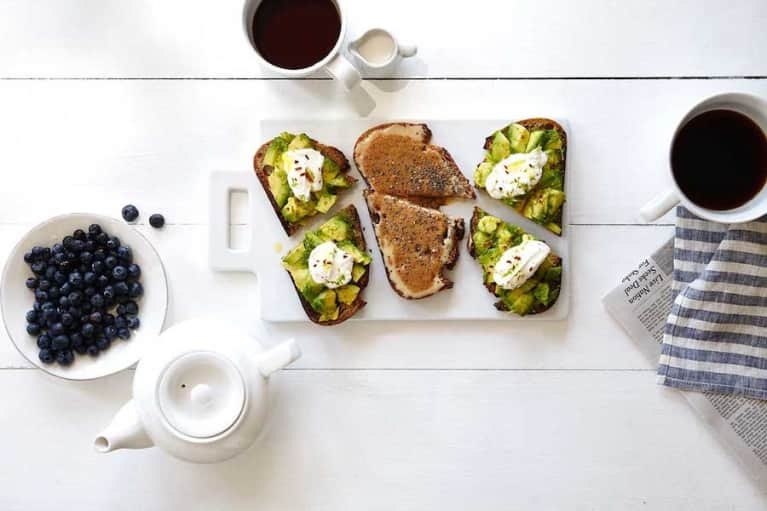 Using a fork, gently mash the avocado into the toast. Season with salt and pepper. 3. To make the limed yogurt: Place the yogurt in a bowl. Squeeze in the lime juice and zest the lime over top. Season with salt and pepper and mix to combine. 4. Top each piece of toast with the yogurt. Drizzle with olive oil and red chili flakes. 2. Spread 1 tablespoon of raw honey over each piece of toast. Top with 1 tablespoon of almond butter. Sprinkle each with equal amounts of chia seeds. 1. Pre-heat oven to 425ºF. 2. 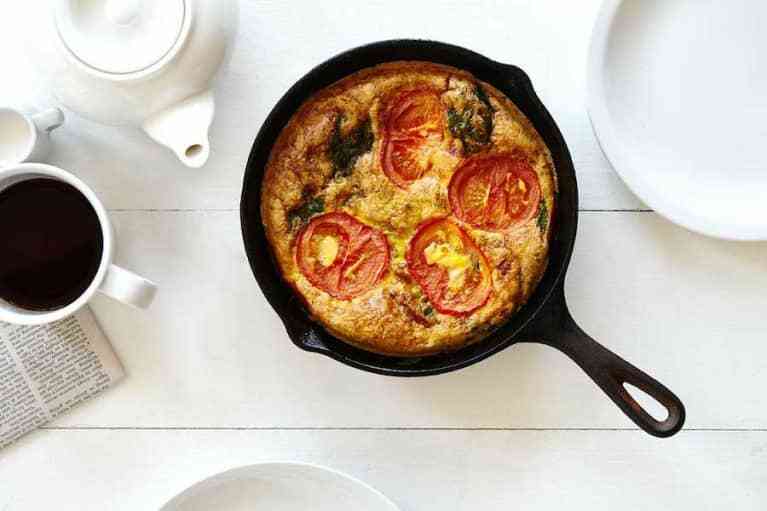 Place a 10-inch cast-iron skillet over medium high heat. Add the turkey bacon pieces and cook until brown, about 5 minutes. Add the garlic and spinach and about a tablespoon of olive oil. Season with salt and pepper and cook about 5 minutes until the spinach is wilted and garlic is soft and fragrant. Add the eggs and season with salt and pepper. Stir once to combine, then add the tomato slices evenly over the top. Cook without stirring for about 2 minutes, until the edges are set. 3. Place skillet in oven and bake for about 10-12 minutes frittata is set. Serve warm or at room temperature. 1. Place a large frying pan over medium-high heat and coat bottom of the pan with olive oil. Sauté the onions and peppers for about a minute or two until soft, translucent and fragrant. Add the garlic and cook for another minute until soft. 2. Add the crumbled tofu and herbs and mix to combine. Season with salt and pepper and sauté for a few minutes to incorporate. Add the black beans, mix and cook for another minute or so. 3. Remove the pan from the heat and add the cilantro and lime juice. Serve in the tortillas with toppings as desired. 1. For the kale: Lightly coat the bottom of a large sauté pan with olive oil. Add the onions over medium-low heat and let cook for about 20 minutes, until soft and slightly brown. Add kale and broth. Mix, season with salt and pepper and cook for another 20 minutes or so, stirring occasionally, until kale is soft, and dark on the edges. Drizzle with lemon juice and grate zest over top. 2. For the eggs: Add a couple cups of water (enough for 3-4 inches from the bottom) in a medium saucepan. Bring to a steady simmer and add a couple pinches of salt. Crack eggs individually into a ramekin or cup. Move a wooden spoon in a circle motion around the saucepan to create whirlpool in the middle. Slowly pour each egg into the water and let simmer on low for 2-3 minted. Transfer to a paper-towel-lined plate. 3. 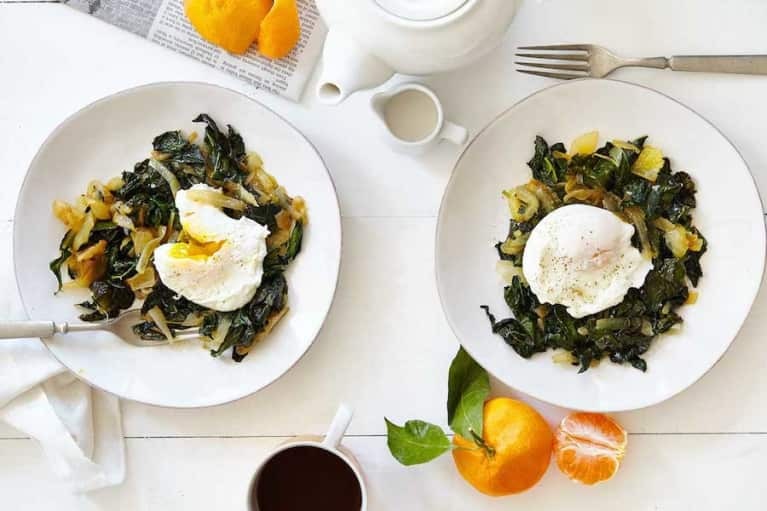 Divide the kale between two plates and top with the eggs. Season with salt and pepper and a dash of paprika if desired. 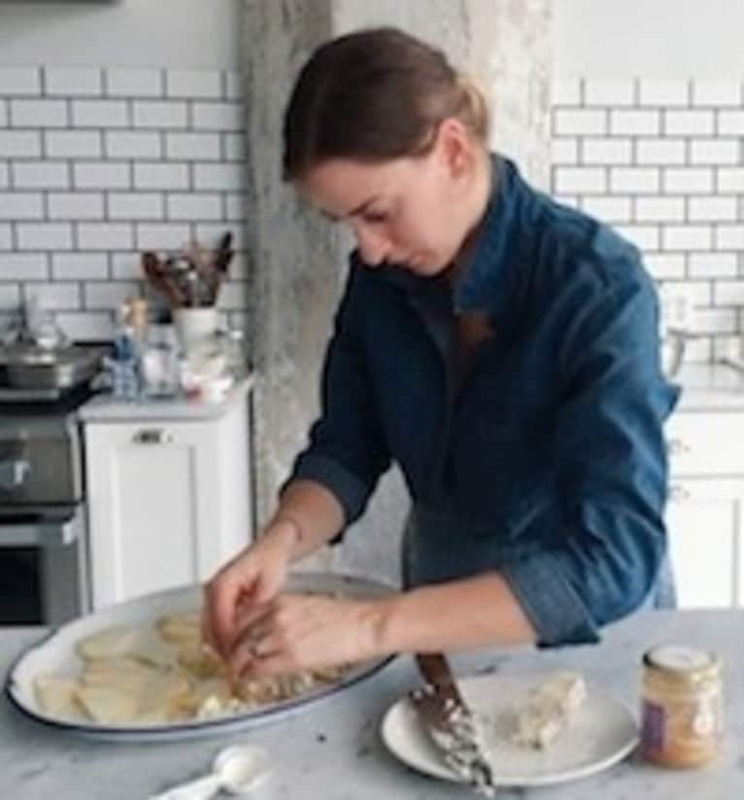 Christina Liva is a Brooklyn-based editor, writer, recipe developer, and stylist.